International Family Law: Which Law Governs a Prenuptial Agreement in a U.S. Court? Which Law Governs a Prenuptial Agreement in a U.S. Court? Which law governs a prenuptial agreement in a U.S. court? That simple and critically important question unfortunately has no simple answer. Is it the law selected by the parties? The law of the forum? The law of the place where the agreement was negotiated and/or executed? The law of the place that had the most significant connection with the agreement, or with the parties, at the time the contract was signed? The law of the place that currently has the most significant connection to the parties (or that has the most interest in the case)? The decisions of U.S. courts follow no consistent pattern. Case law may be cited for any of the above and for other theories as well. 1. There is surprising dearth of useful authority. 2. Conflict of laws has been substantially influenced by academic writings and different views have been fashionable from time to time. 3. Academic views are often impracticable. 4. The entire issue has been clouded by the fact that many of the decisions cases have concerned religious agreements, which raise unique issues. E.g., In re Marriage of Shaban, 88 Cal. App. 4th 398, 105 Cal. Rptr. 2d 863 (4th Dist. 2001). 5. Litigants have often failed to submit adequate proof of foreign law, thus forcing courts to apply the law of the forum. 6. Courts have often used their own views on public policy to trump foreign law. 7. Courts have seemed reluctant to spell out governing principals and instead have often decided cases on an ad hoc basis. 8. Courts have often reached different results depending on whether they are considering the law that governs the validity of a prenuptial agreement, the law governing the enforceability of an agreement or the law governing the construction of the specific terms of an agreement. The New York courts have dealt with more cases concerning the enforceability of foreign prenuptial agreements than other states. In Stein-Sapir v. Stein-Sapir, 52 A.D.2d 115, 382 N.Y.S.2d 799 (1st Dep't 1976), the Appellate Division held that a prenuptial agreement entered into in Mexico between two Americans who married there would be enforced in New York even though it was written in Spanish and the husband claimed that he did not understand it. In Stawski v. Stawski, 43 A.D.3d 776, 843 N.Y.S.2d 544 (1st Dep't 2007), the courts had to determine whether to enforce a prenuptial agreement prepared and signed in Germany between a German man and an American woman. German law required that a government official explain the document to the parties, which was done. Thirty years later the agreement was offered to bar equitable distribution of the marital assets. The Appellate Division focused on the defense that the wife had not understood what she signed and rejected that argument on the evidence before it and pursuant to the principle that prenuptial agreements should generally be enforced. Neither the majority nor the dissenting opinion referred to the issue of which law would govern the agreement, applying New York law without explanation. In Van Kipnis v. Van Kipnis, 11 N.Y.3d 573, 872 N.Y.S.2d 426, 900 N.E.2d 977 (2008), the New York Court of Appeals upheld and enforced a French prenuptial agreement signed 40 years earlier. The parties married in France where the wife, a Canadian citizen from Quebec, was studying. The husband was a U.S. citizen. The wife had a ‘contrat de marriage’ drafted under the French Civil Code and she arranged for legal counsel to explain its terms in English to the husband. The agreement specified that the parties chose the regime of separation of estates. After their marriage they moved to New York where they resided continuously for the 38 years of their married life. The New York court ruled that prenuptial agreements that addressed the ownership, division, or distribution of property must be read in conjunction with New York's Domestic Relations Law provisions concerning equitable distribution and the validity of a prenuptial agreement. The governing statute provides that a prenuptial agreement is valid and enforceable if it is “in writing, subscribed by the parties, and acknowledged or proven in the manner required to entitle a deed to be recorded.” The Court found that the French contract was a prenuptial agreement within the meaning of the New York statute. Unfortunately, the New York court did not address the issue of which law should be applied. It apparently made the simple assumption that New York law should apply but it gave no indication as to whether this was because New York was the jurisdiction that had the most substantial connection with the contract or because it had the most interest in the contract or simply because it was the forum that the parties had chosen. Also unfortunate is the fact that the court did not address the issue of whether the French contract was “acknowledged or proven in the manner required to entitle a deed to be recorded.” That language requires both an oral acknowledgment before an authorized officer and a written certificate of acknowledgement. It seems most unlikely that the requisite process was undergone at the time the contract was signed in Paris but this issue is not discussed by the Court of Appeals. W, a Dutch citizen, and H, a UK citizen, were married at the Dutch Embassy in Ghana. They lived in New York before the marriage and throughout the duration of the marriage. At the suggestion of W’s Dutch parents they signed a pre-nuptial agreement, which was drafted in the Netherlands, by an attorney friend of the parents as a wedding gift and by a notary engaged by that lawyer. They signed the documents in New York before a notary, including a power of attorney and a notarial deed which both stated that they were subject to Dutch law. The court accepted that the agreement was governed by Dutch law. Plaintiff’s status as a Dutch citizen, the parties' Dutch civil marriage ceremony at the Dutch embassy in Ghana, and the fact that the pre-nuptial agreement was drafted by a Dutch attorney in the Netherlands, and executed by the parties' agents in the Netherlands, provide a sufficient nexus for the application of Dutch law. The court accepted a sworn legal opinion from Dutch counsel that the documents were executed with the formalities required by Dutch law, even though they did not comply with the execution requirements of New York law. Nor would the application of Dutch law violate any strong public policy of the State of New York. The most significant conclusion that may be drawn from the New York cases is that the result of each case was that the foreign agreement was upheld, even though the facts in each case created substantial sympathy for the party who opposed enforcement. 1. 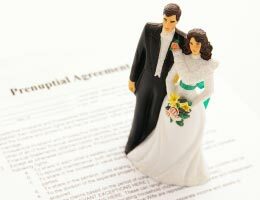 Unlike the principle in most areas of family law that U.S. courts will apply the law of the forum only, U.S. courts may apply choice of law rules to prenuptial agreements. 2. When a U.S. court applies choice of law rules to prenuptial agreements, the starting point is the choice of law rule that is applied in the forum jurisdiction to contracts in general. 3. Accordingly, a prenuptial agreement will generally be governed by the law of a place of its execution or the law of the place with which it has the closest connection. 4. The parties may select the law that will govern their prenuptial agreement and their choice will generally be upheld. 5. If the terms of the agreement are contrary to the public policy of the forum state, its courts will not enforce the agreement. 6. These principles apply to agreements executed in overseas jurisdictions just as much as they apply to agreements executed in sister states. 7. The rules and customs concerning prenuptial agreements vary enormously around the world. U.S. courts should respect those differences when considering the effect of foreign prenuptial agreements. A choice of law clause should be drafted broadly. In one case a court in Oregon applied the law chosen by the prenuptial agreement--California law--only as to the construction of the agreement, but did not apply California property law because the choice of law clause was limited to construction issues. Marriage of Proctor, 203 Or. App. 499, 125 P.3d 801 (2005). Choice of law clauses should provide for both the application of both substantive and procedural law of the foreign jurisdiction to be effective. *Jeremy D. Morley consults on international family law matters with clients globally, always working with local counsel as appropriate. He may be reached at +1- 212-372-3425 and through his website, www.international-divorce.com. Jeremy has handled hundreds of child custody and abduction cases and has written the leading treatises on international family law.